Acne is a painful and unsightly skin affliction that leaves behind stubborn scars. Acne scar is mainly formed during the pimple healing process.It is of three types- early, raised and depressed. An early acne scar is a reddish blemish, which is not actually a scar, but a sign of the normal healing process. The red marks fade within 6 months. Raised acne scars appear above the skin’s surface and turn larger over time. Raised acne scars are also itchy and painful. Depressed acne scars, on the other hand, look like tiny depressions in the skin. It is also called rolling acne scars as it gives a wavy like texture to the skin. These dark spots take several months to fade, but there are certain things you can adopt to speed up the process. From topical treatments to surgery, you can try a variety of treatments to cure acne scars. Today I am listing a number of methods that can help you to prevent and reduce the appearance of acne scars. Picking the pimples is one of the most common causes of scars. The bacteria on the hands transfer to the face, resulting in collagen loss. Besides causing the acne scar, picking also interrupts the process at which the skin heals itself naturally. It leads to the further inflammation of the skin, exacerbating the skin discoloration and scarring. Regardless of the weather, it is extremely important to apply sunscreen before stepping out in the sun. People in the West often get a sun tan to temporarily even out the skin tone. However, this is the worst thing you can do to your skin. Exposing your acne scar to the sun will make it look darker, slowing down the healing process. The harsh sunrays stimulate melanocytes, the pigment producing cells that make the acne scar a lot more noticeable. Protect your skin with a high SPF sunscreen or wear a wide brimmed hat. There a plenty of spot acne treatments available in the market that you can try for reducing acne scars. The spot treatment cream contains a powerful blend of glycolic and salicylic acid, that zaps the zits from the skin, sloughing off the melanin cells that cause acne scars. There are several over the counter creams and gels that stimulate the skin cell growth to reduce the appearance of scars. These creams can also help reduce the inflammation and itching. Medicated creams contain ingredients like Kojic acid, licorice extract, Vitamin C and mulberry extracts, fade the hyperpigmentation, treating acne scars. Cortisone cream is best for treating red acne scar. The skin cells absorb the cortisone, reducing inflammation. Do not purchase products that contain hydroquinone. People suffering with acne scar should avoid using creams that contain Vitamin E as it can hinder the healing process. Retinoid A cream is highly recommended by the dermatologists for fast and effective results. Retinoid is a vitamin A derivative that is used for treating fine lines and wrinkles. It boosts the collagen production and speeds the cell turnover process, treating acne scars. Retinoid A cream is highly sensitive to sun, hence should only be applied at night. Do not use highly abrasive treatments to treat the acne scars. Abrasive and rough products can irritate the skin, making the situation worse. Use gentle facial cleansers and scrubs to clean the skin. Do not use hot water for washing the skin. Exfoliation sloughs off the dead cells and impurities, revealing the new skin underneath. 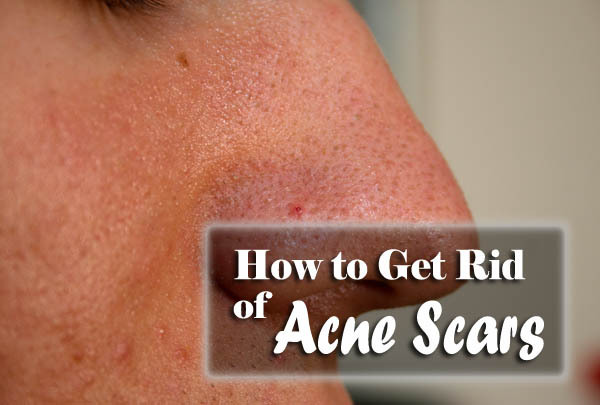 Acne scar typically affects the top layer of the skin. Hence, regular exfoliation can speed up the fading process. Use a scrub especially formulated for sensitive skin. Take a gentle washcloth and massage your skin in circular motions. Exfoliate the skin 3 to 4 times a week for effective results. Avoid using rough face cloth and sponge on the skin. Follow a healthy diet and drink loads of water to stay hydrated. This may not clear the scar, but will allow the skin to heal itself. Water flushes off the toxins from the body, keeping the skin plump and firm. Eat foods rich in Vitamin A, C, E and K to feed the skin with necessary nutrients. Smoking depletes the oxygen, slowing down the healing. It also accelerates the process of ageing leading to fine lines and wrinkles. Hence, quit smoking if you want to get rid of acne scars as soon as possible. Here are some simple methods to cure acne scars without resorting to chemical laden products. Apple cider vinegar acts as a natural chemical peel to remove the top layer of the skin, reducing the red scars. It also balances the pH level of this skin. Mix equal quantities of vinegar and water and apply it to the affected areas using a cotton ball. Applying lemon juice directly to the acne scar lightens the color, making it less noticeable. Lemon juice contains natural skin bleaching properties that can effectively lighten the acne scars. Combine lemon juice and water in equal quantities and apply it on the scar. Wash it off after 20 minutes. Baking soda is an excellent natural ingredient to minimize the appearance of acne scars. Mix one teaspoon of baking soda with 2 teaspoons of water and form a smooth paste. Apply this paste on your face and massage in circular motion, concentrating on the scars. Rinse it off with cold water and pat dry. Honey is very useful for clearing pimples and reducing the red acne scars. The antibacterial properties of honey help to soothe the skin by reducing inflammation. Mix raw honey with pearl powder and dab on the affected areas. Unlike over the counter products, honey is non irritant and moisturizes the skin instead of drying it out. Aloe Vera gel has been used for centuries to relieve many ailments. It rejuvenates and moisturizes the skin, encouraging the scars to fade. Apply aloe Vera gel on the face or just the acne scars and leave it overnight. For a more intense treatment, mix aloe Vera gel with tea oil and apply only on the scars. Sandalwood powder is renowned for its healing properties. Mix sandalwood powder with rose water or milk to form a smooth paste. Apply this paste on the affected areas and wash it off after 30 minutes. Apply this paste thrice a week until the scars vanish. Scars often leave permanent indentions, which becomes impossible to reverse. Medicated treatments and surgeries can be considered if the above-mentioned methods fail to work. 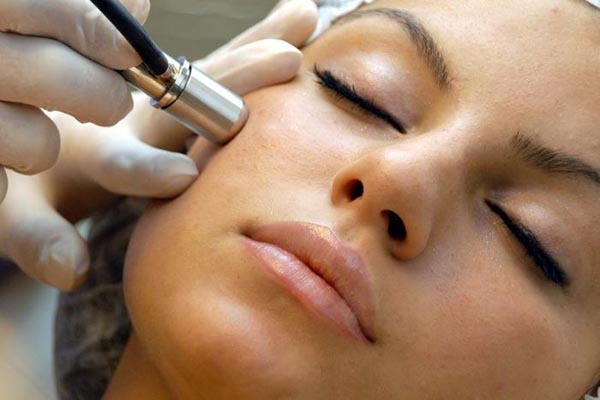 Dermabrasion is a surgical procedure in which the doctor removes the top layer of damaged skin with a wire brush. The skin is numbed with a local anesthetic, while the abrasive wheel removes the surface layer. The face gets a smoother and contoured look as the new skin grows. This treatment should not be used on skin with active acne. 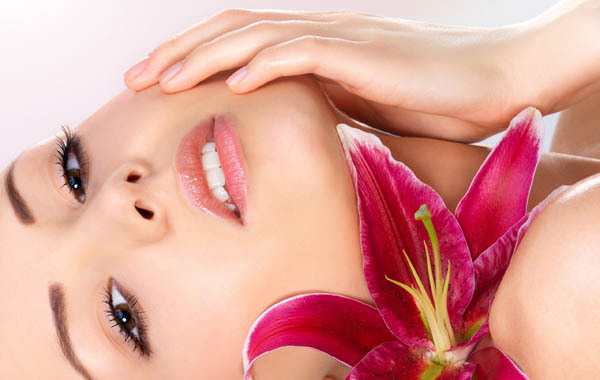 Chemical peels involve the usage of concentrated acidic solution to remove the top layer of the skin. It burns away the top layer of the skin, revealing the new skin underneath. This treatment not just removes the damaged cells, but also improves the overall texture and tone of the skin. Laser treatment is one of the most effective treatments from removing scar tissue. An intense ray of light is used to treat the affected areas. The heat stimulates the collagen production or vaporizes the scar, encouraging the production of new skin. There are various types of light range and the doctor chooses the right one depending on your skin type. You can also opt for fillers for temporary scar reduction. It allows the scar to rise to the skin’s surface, creating a uniform look. The fillers do not last for more than 6 months. In a reconstructive surgery, the dermatologists shave off the entire rough and uneven skin. The dermatologists may also perform the skin graft to replace scarred tissues with healthy skin from another part of the body. Consult dermatologists to assess the severity a scaring and help you choose the treatment. Bacne word is derived from a combination of two words- back and acne. It is mainly caused due to the overactive sebaceous glands on the back. The pimples, just like the ones on the face, leave behind ugly scars. Aloha, hydroxy Acid (AHA) works best for treating back acne scars. AHA enriched creams works on the surface of the skin, which accelerates the exfoliation of the oily skin cells, encouraging the production of new cells. Wash your body with an oil free shower gel, a medicated one preferably. The body wash should contain salicylic acid as one of its active ingredients. Concentrate on the pimple prone areas the most. Moisturize the skin well with a medicated lotion. Acne scars will not disappear overnight. It will take a few days to notice the difference. Have patience and your scar will fade completely in a matter of a few months.